A common misconception is that only dirty houses or buildings get mold; clean and tidy homes and businesses are spared. But the truth is that mold can be present anywhere, in any type of home, office, or building. Often the occupants don’t know they have a mold problem, and are suffering serious health consequences. That’s why mold testing is so important. Mold spreads spores that can make you sick, including triggering asthma attacks and other respiratory issues. Black mold can be extremely toxic. A mold spot the size of a dime contains approximately 500,000 spores. Through expert mold testing, our certified mold inspectors can help you discover what’s causing mold growth in your home or business. In addition to finding the mold, our experts are able to analyze it and determine what type of mold it is and how much of a potential health hazard it is to you and your family. 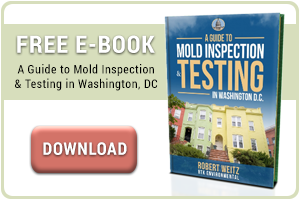 You can then make a more informed decision regarding what to do about your mold problem. If you suspect mold in your home, call us at 1-800-392-6468.